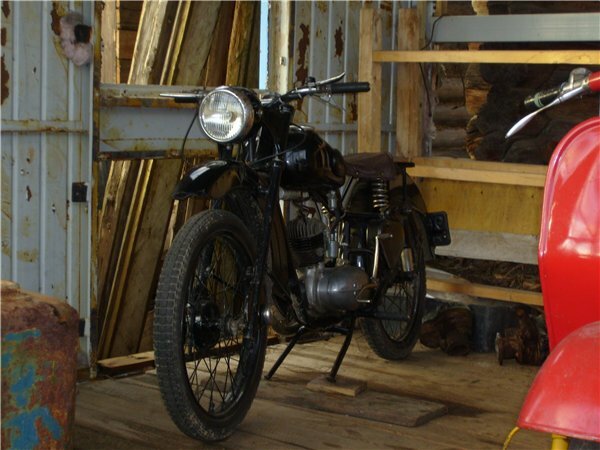 These are old Russian bikes from kolobkov.net for bike lovers. 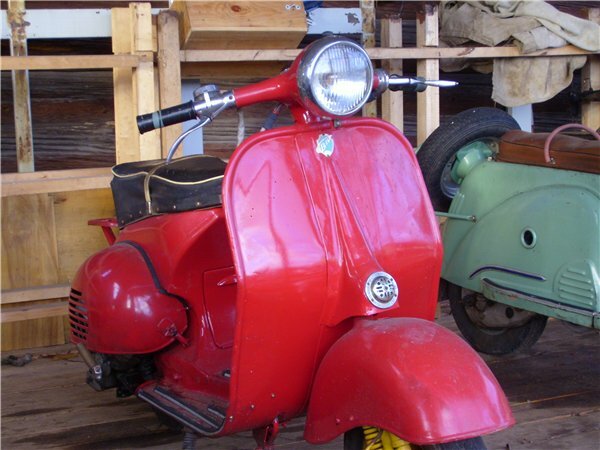 Isn’t Viatka VP-120 a rebadged Vespa? Wow. At some RPM and above, OHV engines tend to breathe better. Below that RPM, a sidevalve engine loses less power to valve train reciprocating mass. If we are about to be *Gored* to tears with Al-Gore Warmie legislation, at a national 55-MPH again, a sidevalve engine will do. As long as it has the valves and valve seats for no-lead gas, it will do. I have fired a Chinese copy of a Russian Simonov 7.62x39mm carbine, just a bit. I have taken it apart and put it back together and fired it a bit more. A motorcycle will have a few more moving parts, but so far I’d be inclined to try it. Have you a url for these Chinese IMZ-knockoffs? Thanks. Best regards. VERY nice. Thanks for the url. 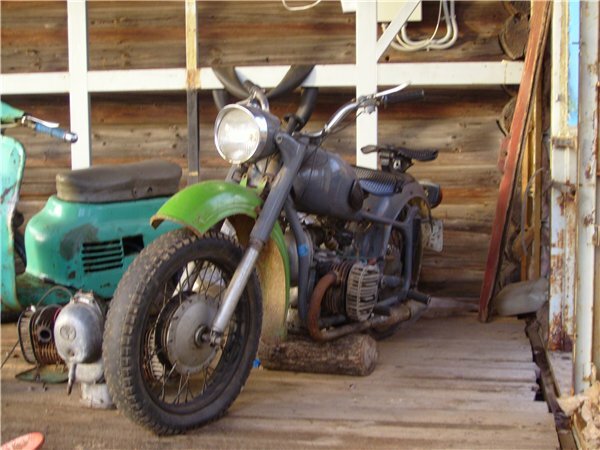 is one of those sidevalve BMW-style motorcycles in “rustic” condition, with a spare long-block on the floor beside it. 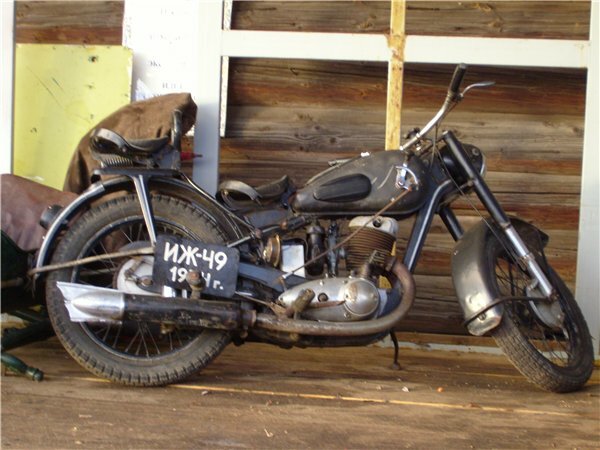 we see a sidevalve-engined IMZ with ‘plunger’ rear suspension like vintage BMWs had. It hardly gets more ‘retro’ than that, unless you find an Earles-type front suspension! The engines in those Russian sidecar-bikes I admired at your link are probably a bit better for sustained Interstate speeds. 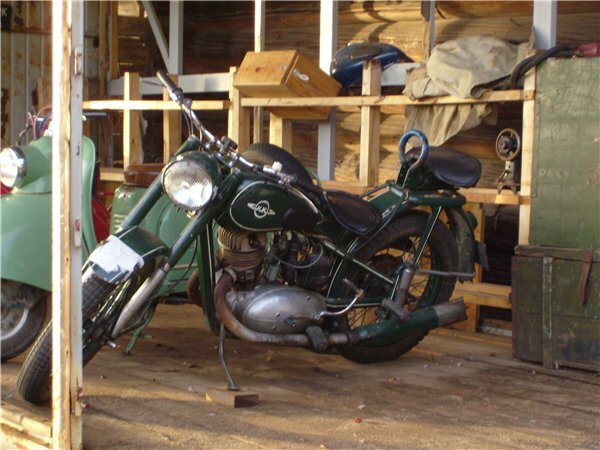 But if the Chinese are making the older flathead models I wonder–have the Russians considered competing? Just a thought. Best regards. 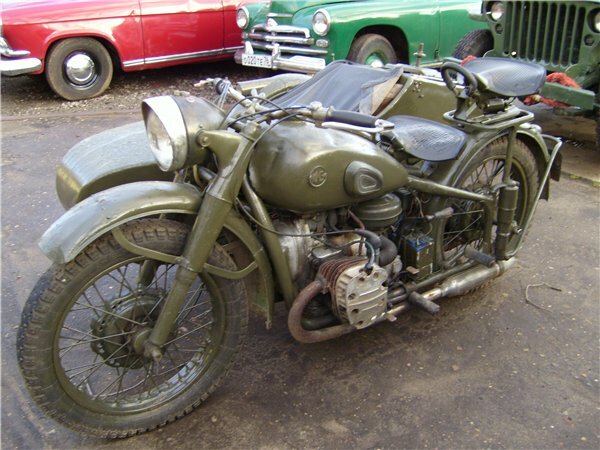 Any time you have more pictures of Russian 2-wheelers, I hope to see them here. In picture #1, beside that seriously hammered motorsickle, what’s the medium-green scooter? Thanks and best regards. You may want to prepare a sandwich, made conservatively so you can one-hand it–and a cup of coffee. There is a lot to read and a lot to see, about these. They wouldn’t be for everybody, because they are NOT fast (and may not be amenable to tuning). One site shows some side-by-side pics of original PLA-approved parts and more recent copies. From a Machinist’s perspective: the newer pieces are NOT pretty. It appears the Peoples Liberation Army had decent quality-control. 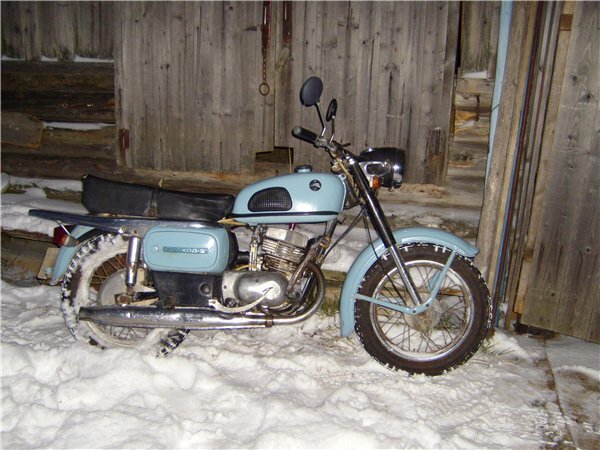 But these bikes are old, and GOOD parts will keep getting harder to find. I’d hesitate to push one too hard if I bought one. It might go 45 to 50 MPH (80 klicks, more or less) for another 30 years, but trying to keep up with a new Ural on the Interstate could ruin it. To get one of these PLA-surplus rides into the States, one imports it as a “Military Curio.” Better be sure you can prove the one you ordered is at least 25 years OLD, for that to fly. As our “Workers’ Party” degrades the U.S.A. to a 3rd-world Socialist “Republic,” I might still prefer one of these 3rd-world-Oldsmobiles to riding a bicycle or walking. Somewhere along our downward spiral, “the-people” will embrace a national speed-limit low enough for the old Flattie to handle it. Best regards, all. I had a Voshod bike for a few months. I can say that it was a very-very good bike!!!!!!! Low consumption, good start, pretty powerful engine.